Barton Rovers ended their six-game winless league run with a battling 1-0 triumph at Uxbridge on Saturday. A late goal from Lucas Perry ensured all three points as Barton won the road for the first time since October 20. Heavy rain made the pitch heavy in places as Uxbridge adapted to the conditions better early on, with Kyle Forster saving well from Matt Woods effort. Forster was called into action again a few moments later, while Rovers’ defence had to make clear two goalmouth scrambles. The hosts went close again when Dave Thomas’ free kick hit the outside of the post, while Forster parried Woods’ shot to safety. With Uxbridge having 15 efforts on target in the first half compared to Barton’s one tame effort, the visitors were fortunate to still be on level terms. After the break, the rain returned, as Kevin Warner gave Rovers a scare, again thwarted by Forster, who also denied Lewis Cole. With 20 minutes to go, Rovers came alive and played some of the best football seen this season. Claudio Dias saw his shot fly the wrong side of the post, while Ashton Grant’s header was saved by Paul McCarthy. 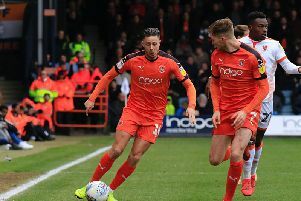 The only goal of the game arrived in the 84th minutes when Perry latched on to the loose ball, powered forward and lashed into the top corner from 20 yards. The heavens then opened as Barton managed to hold on and secure a welcome and much-needed victory. Rovers are at home to Northwood on Saturday.